Kevin Dion updates the Calgary Flames' third jersey from five years ago by putting the shoulder patch front and center. Not a bad look, if you ask me. The Coyotes already have pretty solid uniforms, but Kevin Dion has an even better set here. 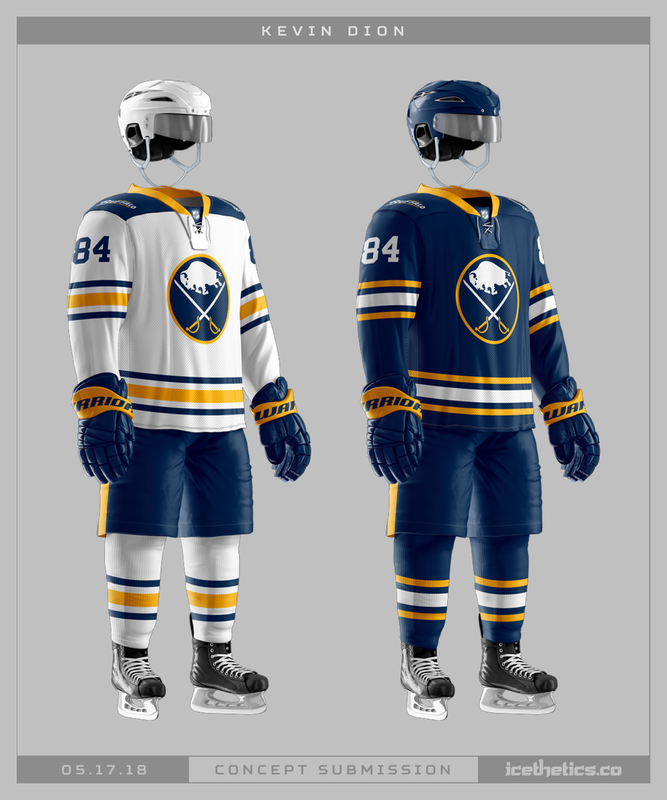 You'd probably agree the Sabres need to fix their uniforms. But would you agree that Kevin Dion has a pretty solid solution here? I think I would. 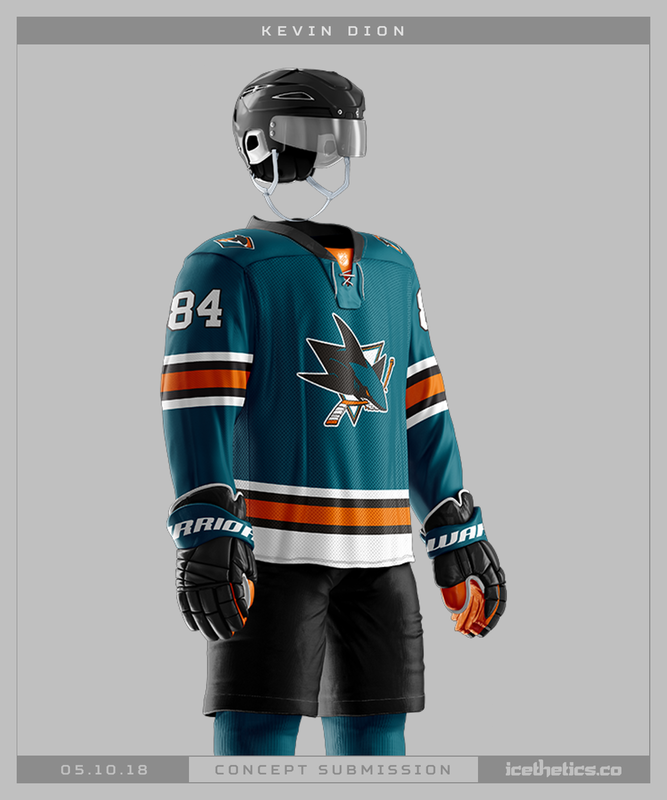 The ongoing debate about how much orange should be present in the San Jose Sharks' uniforms continues with this concept from Kevin Dion. Which way to you sway? Most people seem to agree the Lightning could use a look that doesn't look quite so similar to the Maple Leafs. The best solution is to bring back the black. Kevin Dion proposes a third jersey that is distinctly Tampa Bay.